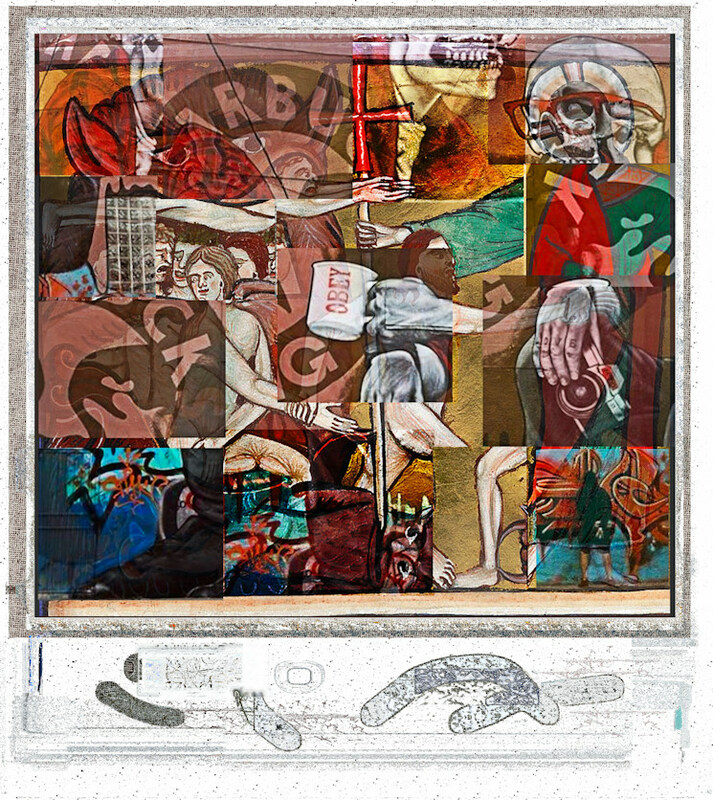 Digital cubomania collage created using photo of Brooklyn Street Art found on Graffiti&UrbanArt and the illuminated image,Harrowing of hell, Psalter, Oxford ca. 1220 (BL, Arundel 157, fol. 110r) found on Discarding Images.